Magento Development Company. Building in Magento for over 10 years. At ExtraDigital we have a tremendous amount of experience within the ecommerce sector helping clients rapidly grow their customer base and increase revenue. We see far too many eCommerce stores where the design is not customer focused. Our designers have years of eCommerce experience and ensure you get a shop designed for success. Before you can build your online store, you need to select the correct eCommerce platform for your business. Our developers ensure each website is built correctly on the platform of choice and that any extensions, modules or plugins are correctly installed to protect the site's security and speed. They also take into account the website's need to be SEO friendly and ensure that the structure can be quickly indexed by search engines, providing a robust framework for any future marketing. In addition to this, we also offer ongoing services like maintenance care-plans, back-ups, and hosting. A great website is only half of the story. To be successful takes dedicated online marketing. 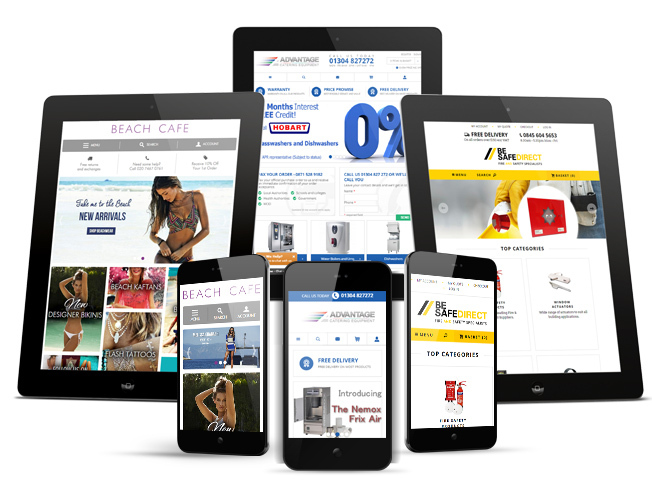 ExtraDigital also offer monthly shopping feed optimisation and retargeting campaigns. To find out more about our eCommerce services call +44 (0) 1227 68 68 98 or tell us more about your plans below.